The sixteenth China International Consumer Electronics Show (SINOCES for short) is going to work with Hardmaker to host first Hardmaker festival &2017SINOCES intelligent hardware selection activity, at present, the online declarations has already been launched. The activity is aimed to discover new market opportunities which based on China's manufacturing 2025 and "double creations" the background of the times. It is designed to provide a platform for innovative enterprises to demonstrate innovative ability, to achieve the rapid market of innovative products and to enhance the competitiveness of enterprises in the global market. 2017 SINOCES is going to establish six special exhibition grounds, except smart home ground, 3D printing & intelligent robots ground and VR& intelligent hardware ground which was established in last year, the intelligent security ground, E-sports ground and Big data & cloud computing will debut in this year. Based on such a product display and interactive communication platform, Hardmaker festival will be fully demonstrated innovative products in the field of consumer electronics which leads market trends and industry trends. The selection products will be selected from technological innovation, application innovation, design innovation, artificial intelligence and other projects, covering the fields of smart family, smart travel, smart health, leisure and entertainment, innovative technology and so on. SINOCES Organizing Committee and the Hardmaker judge will select the products from the design of innovation, market value potential, technological innovation, man-machine relationship and other aspects to discover the most innovative and market value product. At the same time, businessmen and people who want to be entrepreneurs will gather in Qingdao to discuss the blueprint of intelligent hardware and other related areas. China International Consumer Electronics Show is the only professional exhibition approved by State Council. 2017 SINOCES is themed in Smart+benefiting the world will set up a new industrial circle to realize smart resource docking effectively and make intelligent products and services more quickly benefit public life. 2017 SINOCES relies on all levels of government, global enterprises, industry experts, media, association agencies and other parties to aggregate the various channels and resources, and provides for hardware innovative team with one stop service of research- products-market. In addition, 2017 SINOCES is going to provide solutions for manufacturing upgrading enterprises, to speed up the project landing hatch and the rapid marketization of products. 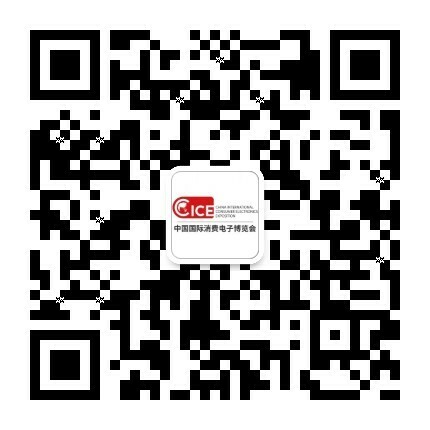 The excellent project selected by the event will also participate in the 6th Leader Innovation Award jointly organized by China Chamber of Commerce for Import and Export of Mechanical and Electrical Products, China Electronics Society and SINOCES Organizing Committee. Leader Innovation Award covers a wide range of industry, aims precisely and on high professional level, which on behalf of the annual consumer electronics new product development level and the latest technology trends and becomes key force to promote innovation and development of the industry. The organizers will provide 1 million to 5 million yuan for industry investment, product incubation and setting platform for award-winning enterprises and projects. Excellent projects can also give priority to the use of Haier Group's industrial chain and channel resources, relies on intelligent hardware incubation, chain optimization and channels acceleration, to achieve the commodities growth in terms of concept - products - merchandises – best commodities in high-quality, high-efficiency and low-risk. This is a best era as well as a worst era. For irresolute people, it is worst in that the chances are fleeting; for the innovative people, it is best and the future belongs to people who have courage to explore and pursue innovation. 2017 SINOCES Hardmaker festival will provide a best platform for strong innovators.